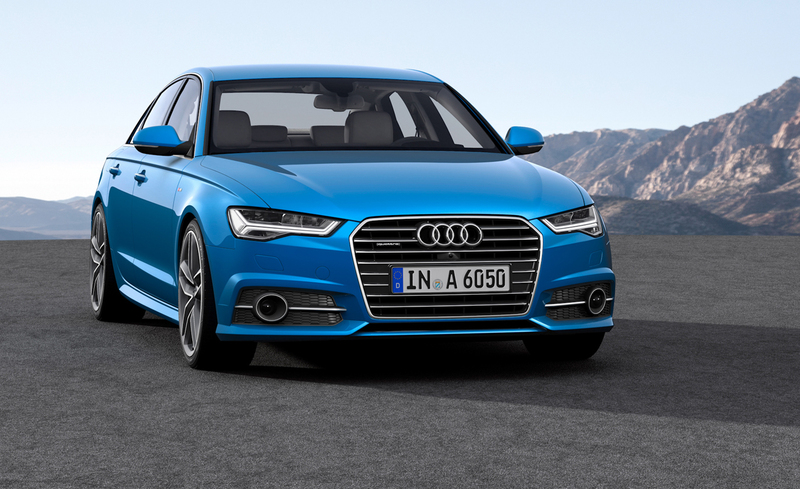 Audi’s face-lifted A6 is India bound. 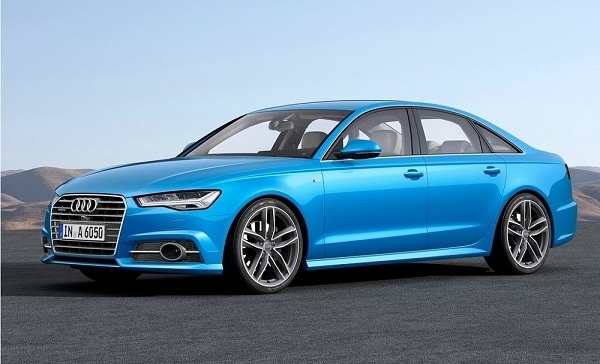 The face-lift has given a significant cosmetic change to the A6 executive luxury sedan. The car gets more straight design cues that make it appear more crisp as compared to the current model’s more rounded lines. The basic structure of the car ofcourse remains the same considering that this is not a model upgrade. At the front, there is a large pentagonal chrome front grille, the headlamps are more angular and incorporate new sleek LED daytime running lights. There is a sleek air dam below the grille and there are two pronounced housings for fog lamps on either side. The car gets sporty 10 spoke alloy wheels. Around the back, the car has trapezium shaped tail lamps and a strip of chrome at the bottom of the boot lid. The bumper has slim black and grey section at the bottom housing two sleek tail pipes at either end. 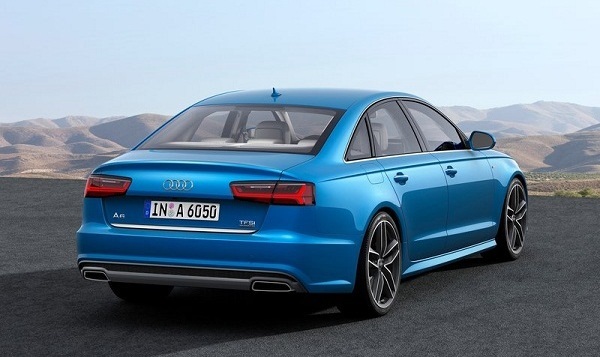 Under the hood, the updated Audi A6 will get a 1.8 litre, four cylinder, turbo petrol engine that will replace the current model’s 2.0 litre petrol engine. 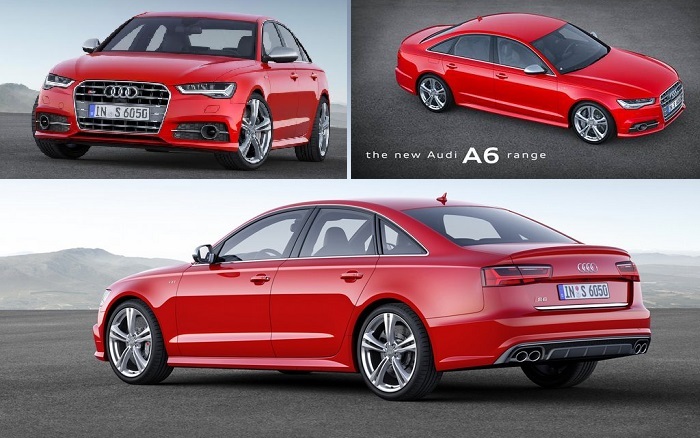 A 3.0 litre supercharged V6 petrol engine will the flagship engine for the A6 range in international markets. Expect the 2.0 litre and 3.0 litre four cylinder turbo diesel engines to make their presence felt in India. 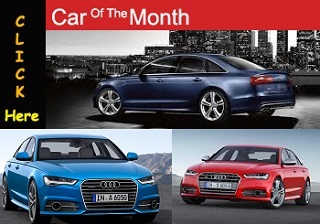 Front wheel drive versions of the car will also sell in higher numbers in India as compared to all-wheel drive quattro versions of the A6. The visual changes to the A6—one of the most conservative-looking Audis ever built—will take a seasoned observer to discern. The grille has been sharpened at the edges, the front bumper is slightly more angular, and a horizontal chrome strip slashes across the trunklid. Some versions feature wide, rectangular exhaust pipes. Perhaps the most successful change was made to the rear fascia, which has been reshaped to solve the taillights' "overbite." Audi also re-sculpted the innards of the head- and taillights, whose horizontal LED graphics now mirror the changes executed on the refreshed A7 unveiled few months ago. Beyond new color and trim options, there are virtually no changes to the masterfully executed interior. We’re bummed, however, that Audi didn’t take the opportunity to better integrate the frame for the optional head-up display, which sits atop the dashboard like a tumor. But work has been done behind the surface: The navigation and infotainment system gets new and better hardware that includes a faster graphics processor, and some of the assistance systems—such as lane-departure warning and blind-spot detection have been more fully integrated with one another.